Millions of people all over the world swear by cleansing smoothies to improve their health and make them feel great. If you have never tried using smoothies as a way to detox the body, a good place to start is with a green smoothie cleanse. While there is no one cleansing product or method that will work for everybody, using green smoothies is a gentle, balanced choice. 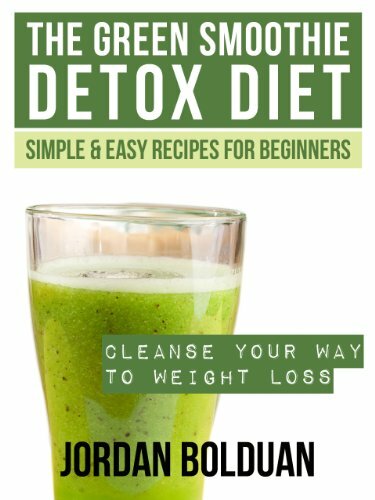 Whether you are a complete beginner to cleansing or detoxing, have been trying different cleanses for years, or are trying to manage a particular health condition, you should get good results. However, any detox regime is not going to be right for everyone so be sure to consult a medical practitioner before embarking on any change to your normal eating habits. It takes willpower and perseverance to get results from cleansing smoothies, but the results will make it worthwhile! Many people incorporate regular smoothie detoxes into their life to keep them feeling clean from the inside out, healthy and energized. Why Does A Green Smoothie Cleanse Work? The The Green Smoothie Detox Diet: Cleanse Your Way to Weight Loss book pictured right is one of a large range available from Amazon. This one has simple and easy recipes suitable for beginners. The concept of a green cleanse is simple. 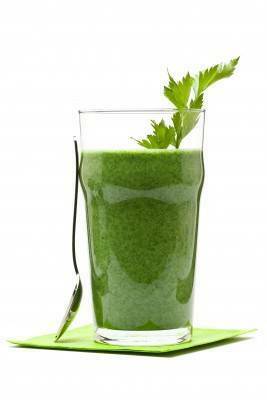 For a certain length of time (typically three days) your entire food intake will take the form of green smoothies. This means a green smoothie for breakfast, one for lunch, then one for dinner. If this isn’t enough, you can have one as a morning or afternoon snack. Nothing else is permitted apart from herbal teas, water (with lemon, if you like) and coconut water. You might be wondering why it is important to go for smoothies instead of juices. Well, the big difference between the two is that smoothies have fiber in them, whereas juices have all the fiber content removed. Many people try a juice diet to lose weight or improve their health, but it is common to suffer from side effects such as hunger pangs, dizziness, headaches and nausea. These are (in part), down to the lack of fiber. Another good reason to go for cleansing smoothies over juices is that good quality juicers are pricey machines – typically more expensive than blenders. A blender is a good investment for the kitchen as it has so many different uses apart from making delicious smoothies! If you don’t already own one and are thinking of buying, why not check out some of our reviews? You can browse these by going to the site index (you will find the link at the top of the page). You might think a green smoothie cleanse sounds really restrictive – and of course it is a very limited diet compared to your usual one – but you actually have a wide range of fruits and vegetables to choose from when it comes to creating your own smoothies. Once you start experimenting with different smoothie recipes, you will work out what you like best. Try to vary it to give yourself lots of different vitamins and minerals. Recipe books on cleansing smoothies often suggest what smoothies you should be drinking and when, to ensure you make the most of your three day detox!